When working with chemicals, the job of a lining is to either stop the chemicals from eating through their containment or to stop the container itself from contaminating the chemicals within. In the first case, we’re fighting chemical corrosion and permeation. In the second, we’re protecting chemicals that require ultra high purity to be effective. There are a huge range of materials that can be used as linings. At the lowest end are natural and synthetic rubber as well as plastic. At the higher end are fluoropolymer linings. What you use depends on the chemicals you’re working with and what you’re going to use them for. 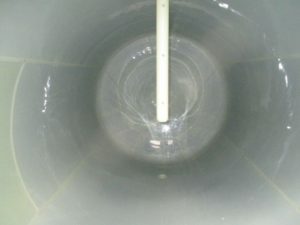 Chemical reactions, corrosiveness, temperatures, duration in containment, mixture consistency, and much more, all indicate the type of materials you can use to line your pipes, storage tanks, and transport vessels. 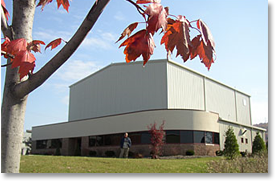 Fluoropolymer linings are an excellent choice for many protection needs. They provide superior protection from corrosion and permeation – almost to the degree that exotic nickel-alloy containers do – but without the bigger expense. And they can be repaired and replaced, increasing the longevity of the equipment they protect. They can also be shaped and welded, so they will fit in a wide array of large, small, and unique dimensions. The power and effectiveness of fluoropolymer linings lies with their inertness. Incorporating the fluorine molecule makes the polymer very chemically stable. When you need to protect against more corrosive alkalis, acids, and solvents, you’ll want one of the fluoropolymers, especially if your chemical environment will reach 180oF or higher. Within the fluoropolymer lining family are grades of protection. It’s a matter of how the fluorine and carbon bonds form in the polymeric structure. We have 6 different materials that all qualify as fluoropolymers. PVDF (Polyvinylidene Fluoride) PVDF is the most commonly used fluoropolymer. It has excellent chemical resistance and tolerates temperatures up to about 230oF, depending on the chemical service. It is a good choice for strong acids, solvents, and to handle de-ionized (DI) water. It is not recommended for caustics. Kynar®, made by Arkema, is the brand name of a PVDF fluoropolymer resin you may have heard of. ECTFE (Ethylene Chlorotrifluoroethylene) ECTFE has excellent chemical resistance and somewhat stronger resistance to caustic and chloride environments than PVDF. It has the lowest coefficient of expansion of any of the fluorinated materials, making it a good selection for high thermal-cycling environments. Solvay makes Halar® ECTFE, a well-known brand in this category. ETFE (Ethylene Tetrafluoroethylene) ETFE resists most chemicals. But even it is vulnerable. For instance, ETFE should not be used with concentrated oxidizing acids at elevated temperatures, alkali amines, certain organic solvents, alkali metals at ambient temperature, fluorine at elevated temperatures, and certain halogenated compounds. As you’re seeing, it takes an expert to understand what fluoropolymer will work best for your situation. Tefzel™ ETFE is a popular brand made by Chemours. The other three fluoropolymers are fully fluorinated polymers. Because of the strength of the fluorine-carbon molecular bond, they resist attack from virtually all chemicals. If your goal is to maintain ultra high purity of your chemicals, or your reactions will be severely corrosive, you’ll want one of these liners. In this group, you may recognize these brand names – Teflon™ (Chemours), Neoflon™ (Daikin Industries), and Hyflon™ (Solvay). PTFE-M (Polytetrafluoroethylene) The “M” is added to the polymer’s name here because the PTFE is chemically modified with perfluoropropyl vinyl ether to make it melt-flow-processable (so we can weld it easily). It is chemically resistant to virtually all chemicals except alkali metals and fluorine at elevated temperatures. It’s also less permeable than PTFE, making it the material of choice for the most severe, highest temperature corrosive environments. FEP (Fluorinated Ethylene Propylene) While very chemically inert, even FEP is still subject to attack at ambient temperature by alkali metals, alkali metal organics, and fluorine. PFA (Perfluoroalkoxy) PFA is the most chemically inert of all the fluorinated materials. On the negative side, PFA is susceptible to abrasion. So if you’re managing a “particle slurry,” this fluoropolymer may not be right for you. Fluoropolymer linings have an amazing range of usefulness. And they are much more economical than using zirconium or some other exotic high-nickel steel alloy. But each lining has its strengths and weaknesses. 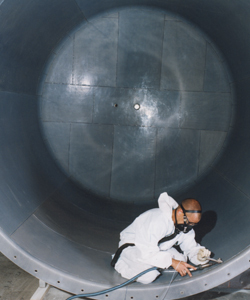 When researching your corrosive chemical protection options, be sure to speak with people expert in the use and application of fluoropolymer linings. And remember, fluoropolymers can protect steel, fiberglass, and FRP pipes, equipment, storage tanks, and transport vessels. Feel free to explore the Electro Chemical website. We have a lot of educational material here. If you’d like even more details about fluoropolymer linings, click here to get a copy of our free Handbook!